Life in the Pacific Northwest is probably most defined by the rainy, temperate climate. While this comes with its own problems, one of the things that it allows us to avoid is snowy winter driving. The perils of winter driving are a danger that leads to personal injury problems across most of the United States, and learning to drive on snow is a skill in itself. With that being said, each winter in the Pacific Northwest seems to bring at least one or two snowy periods. These can lead to especially dangerous road conditions, which are only exacerbated by drivers without winter driving knowledge. Since we’re always looking to help our clients with personal injury prevention, we’ve compiled a few snow driving safety tips, for whenever they may be needed. Warming Up Your Vehicle: This is something that people in colder climates are quite used to, but it can be foreign to those in the Pacific Northwest. Letting your vehicle run for a few minutes before you start driving it ensures that all of the components are warmed up and ready to work, which is key for the more treacherous driving conditions caused by snow. An essential point to remember when warming up your car is to do it outside. Letting the exhaust build up in your garage can be fatal, so always keep this in mind. Accelerate and Decelerate Slowly: The main impact that snow has on the roads is a decrease in grip by your tires on the road. In order to avoid spinning your tires, accelerating and decelerating slowly is key. This also ensures that your car doesn’t begin to skid, which occurs when your brakes lock on an icy road. 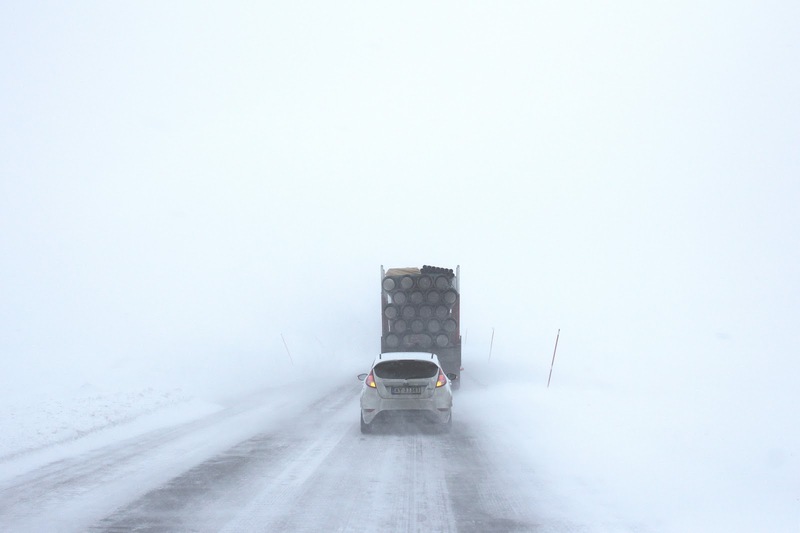 Keep Your Distance: One of the primary places that you notice winter road conditions is in your stopping distance. As mentioned above, your tires won’t be able to grip the road as well as you’re used to, so this can increase the time and distance that it takes to stop your car. To avoid rear-ending someone, stay at least an extra car length behind when following another car. Slow Down! : This is smart advice for most people on the road, but it’s especially true for snowy roads, and inexperienced winter drivers. Reducing your speed helps to combat all of the other driving safety problems that we’ve mentioned here, as well as giving you more time to react to new, uncomfortable situations that may pop up while you’re driving. Driving on snowy roads can be very dangerous, so always remember to take these injury prevention tips into consideration when doing so. If you or someone you know has been injured in an automobile accident of any kind, contact Evergreen Personal Injury Counsel, and we will help you file a personal injury claim.